Love myself and others more. Be kinder. Do good in the world. Be healthier – body, mind and spirit. Find my weight balance. Be more compassionate. Have fun. Laugh more. Promote peace. Be kinder to Mother Earth and see the interconnectedness of all. These are my intentions for 2019. I was happy to make them. To be honest, 2018 sucked big time for me. I’m happy to see the calendar begin anew. I spent New Year’s Eve with my 12 year old grandson. We had fun and ate well! He played Fortnight while I reflected on what made 2018 one of the worst years of my life and manifest a much better 2019. I was reminded of a wonderful 3 day New Years Insight Meditation Retreat where we did a ceremony of letting something go from the previous 12 months. We did this by writing on a small piece of paper something we want to release from the past and making it happen by lighting it with a candle and letting the paper burn to ash. Next we wrote down a new practice, hope or an intention for the upcoming year. We brought light to it with the candle flame. It was very moving and felt significant. A significant new beginning. Do you set New Year’s Resolutions or Intentions? 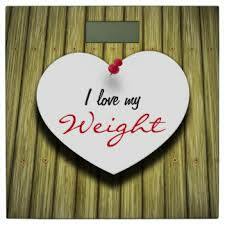 Weight loss is one of the most popular wish for the upcoming year. Clients tell me how they have tried in the past achieve their weight related resolutions. They start off with great intentions and have some success. And then things change. They loose momentum. They find it too hard. They get discouraged. Or they loose weight and then gain it all back. If you are in this place and want SUSTAINABLE weight loss and health balance with a group of like-minded people in a workshop setting, check out my approach to sustainable healthy weight balance using real, whole foods including a Low Carb or Keto approach. Check out the next 4 class series to Succeed with your 2019 weight loss intentions and change your life. May you enjoy every blessing, this year and always.